The dramatic landscapes inspire an astonishing range of creative spirits. 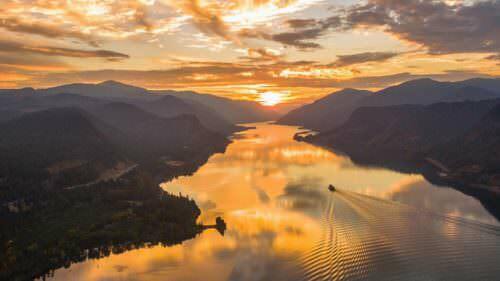 The skies transform quickly in the Columbia River Gorge, shifting the mood of the landscape as you move through it. When clouds gather, the deep colors seem foreboding — as if creatures of lore live in the depths of the dark forests. And when the sun peeks through, the pointed tops of fir trees pop against an impossibly blue sky. In either case, you can’t help but be awestruck. It’s no wonder so many artists call this place home. 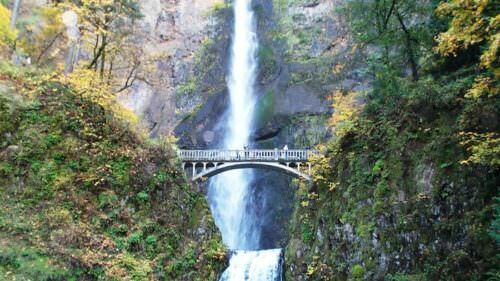 From the dense mountains of Cascade Locks — where the epic Pacific Crest Trail crosses the Bridge of the Gods — to the golden, grassy hills surrounding The Dalles, artists make the astonishingly varied landscape their muse. And you can experience that variety through their eyes by touring the many galleries strung through the Gorge. Here I spotlight a few of my favorite resident artists. Not all of their art is directly related to the landscape, but you can’t deny that the beauty of this place seeps into the light, the air and the process of each artist’s work. Plan ahead: Many artists in the Gorge have studios open to the public year-round, though the majority open only by appointment. To plan your own gallery tour, call ahead to schedule. This presents an intimate opportunity to meet the makers, quiz them on their crafts and — if you’re lucky — see their work in action. 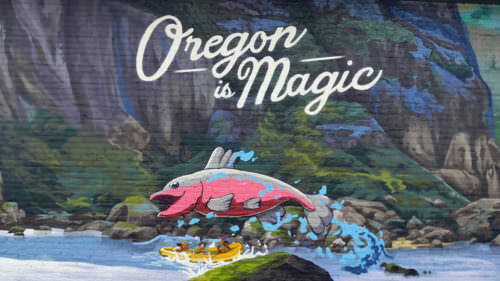 You can also meet many local artists at the annual Gorge Artists Open Studios, which takes place May 3-5, 2019. Before setting out, visit TripCheck.com for detailed info on road and weather conditions. Long before Brad and Debora Lorang met, they both loved sculpture. In parallel lives, they each worked at bronze foundries for more than two decades. Eventually, their paths crossed — first professionally and then romantically. Today this husband-and-wife duo still collaborates in their shared studio, though each artist’s work expresses an individual muse. Brad shows me his fabricated bronze depiction of Mt. Hood. From a distance, it could be a painting. 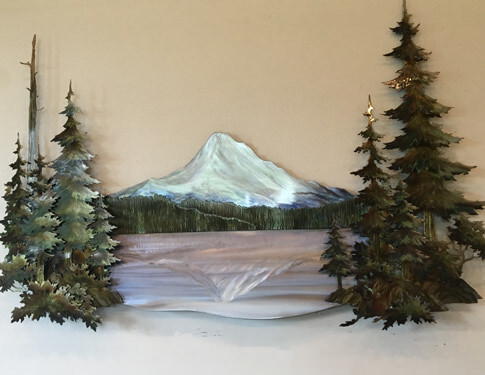 Close up, one discovers a flat sculpture; thin pieces of bronze have been intricately cut, hammered, colored and overlapped to create the glistening white peak flanked by fir trees. The landscape sparkles with realism — you can almost feel the sun that turns the tips of the trees gold. Debora works mostly in found objects and recycled materials. 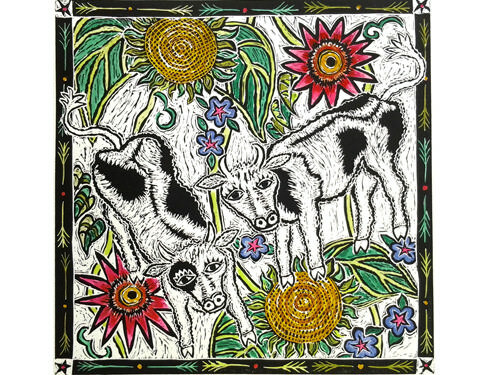 Her jewelry, ornaments and decorative wall hangings are whimsical and earthy. Many of her materials have been shaped and colored by the sea. Once a year, she volunteers with SOLVE‘s Spring Oregon Beach Cleanup; the annual event keeps her bins of materials full. Suzanne Krol Boller has an eclectic resume, which includes graphic design, architecture and anatomy, to name a few. She’s a true student of the world, and her curiosity comes to life in her paintings, which range from soft, minimalist landscapes to photorealist portraits. Her studio faces a front yard; in the distance you can see golden, grassy hills speckled with clusters of dark trees. Boller originally came to this house as a getaway from Southern California, but wound up staying longer and longer until she and her husband finally made the move to The Dalles. Her latest series, “Old Masters With a Twist,” encourages a light-hearted spirit. 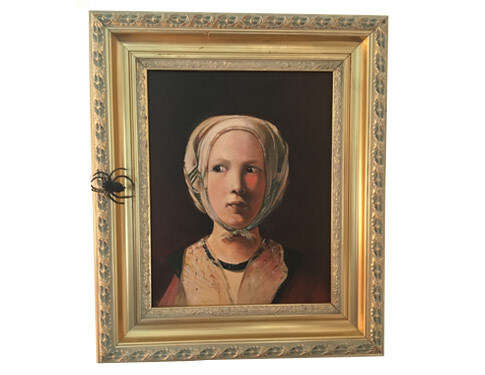 In a stunningly accurate remake of “Das gute Schicksal” by Georges de La Tour, Boller has added two plastic spiders to the frame; the little girl in the portrait, her oval face wrapped in a white scarf, is staring at one of them, daring it with her eyes to come closer. If you’ve ever had a mold taken of your mouth for dental work, then you’re familiar with Peny Wallace’s process. She uses a prosthetic-grade alginate to cast molds that she then fills with Gypsum No. 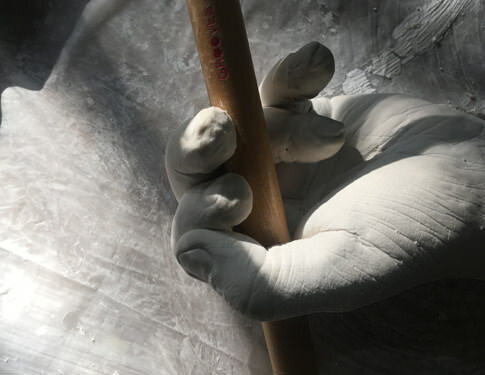 4 cement to replicate the human form, capturing details as delicate as a wrinkled knuckle. Bodies tell stories of beauty in her work. In one wall hanging, for example, two men kiss sweetly. Wallace asked her models, a real-life couple, to show each other affection. They asked, “Can you capture a kiss?” Wallace nodded her head. They held their lip-locked pose for two minutes. In the resulting cast, you can almost feel the intimacy — the lines and folds of their lips touching, their noses overlapping, their hands intertwined. When touring her studio, I didn’t expect to see a landscape, since Wallace’s work focuses on humans. But in a large wall hanging, a body lies on its side and a river crosses the abdomen. You can see hills in the background, mimicking the curve of the hip — it’s the Gorge, or “the body as landscape,” she explains. Abigail Merickel never leaves home without a set of watercolors. But Merickel, who studied art in Venice, doesn’t define herself as a watercolorist. These delicate paintings are only the first step in her printmaking process, she tells me. A large black table with a sleek silver cylinder takes up most of her studio. Merickel demonstrates a monoprint, in which she paints on a piece of plastic and lays a piece of paper on top of the paint. Both layers (plus several more) are moved through the press, squeezed beneath the weight of the cylinder. Out comes a print of the painted plastic in reverse: It’s the Columbia River in fall with colorful trees blanketed by a layer of fog. “Why don’t you just paint the image you want in the first place?” people sometimes ask her as they tour her studio. 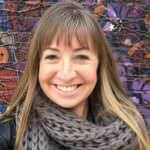 Britany Robinson is a freelance writer in Portland. Road trips are her preferred mode of research, as she collects stories about people and places for publications including BBC Travel, GOOD, Curbed and more.